Steinbeck, John. 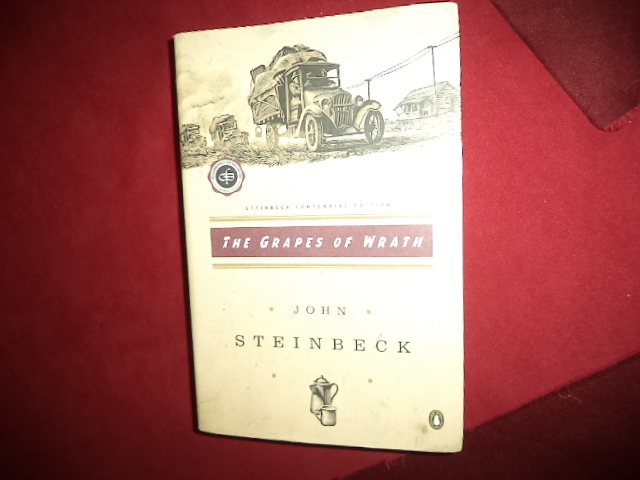 The Grapes of Wrath and Other Writings. 1936-1941. The Long Valley, The Log from the Sea of Cortez, the Harvest Gypsies. Photo available. New York. The Library of America. 1996. Octavo. Hardcover. Reprint. Fine copy in fine slip case. Steinbeck, John. The Grapes of Wrath. Photo available. New York. Viking Press. 1968. 619 pps. Octavo. Hardcover. Reprint. Fine copy in very good (light shelf wear) dust jacket (in mylar). Steinbeck, John. The Grapes of Wrath. Photo available. New York. Viking Press. 1967. 619 pps. Octavo. Hardcover. Reprint. Fine copy in fine dust jacket (in mylar). Steinbeck, John. The Grapes of Wrath. Steinbeck Centennial Edition. Photo available. New York. Penguin. 2002. 456 pps. Octavo. Soft cover. Reprint. Fine copy. Steinbeck, John. The Moon is Down. New York. Viking Press. 1942. 188 pps. Octavo. Hardcover. First edition, later state. Fine copy in good, price clipped, light edge chipping, scuffing. Mylar. Steinbeck, John. The Moon is Down. New York. Viking Press. 1942. 188 pps. Octavo. Hardcover. First edition, second issue (period between talk and this, page 112, line 11 absent. "By the Hadden Craftsman" on the copyright page). Fine copy (small owner name). Steinbeck, John. The Moon is Down. New York. Viking Press. 1942. 188 pps. Octavo. Hardcover. First edition, second issue (period between talk and this, page 112, line 11 absent. "By the Hadden Craftsman" on the copyright page). Fine copy. Steinbeck, John. 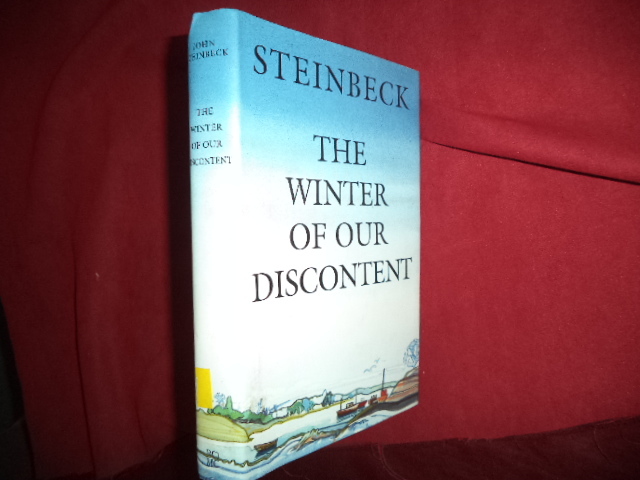 The Winter of Our Discontent. Photo available. New York. Book-of-the-Month. 1995. Octavo. Hardcover. Facsimile reprint. Fine copy in fine dust jacket (in mylar). Steinbeck, John. Tortilla Flat. Of Mice and Men. Photo available. New York. Book-of-the-Month. 1995. 500 pps. Octavo. Hardcover. Reprint. Illustrated by Ruth Gannett. Fine copy in fine dust jacket (in mylar). Steinbeck, John. Tortilla Flat. Of Mice and Men. Photo available. New York. Book of the Month. 1995. 500 pps. Octavo. Hardcover. Reprint. Fine copy in fine dust jacket (in mylar). Steinbeck, John. Travels with Charley. Photo available. New York. Book of the Month. 1995. 246 pps. Octavo. Hardcover. Reprint. Fine copy in fine dust jacket (in mylar). Steinbeck, John. Travels with Charley. In Search of America. Photo available. New York. Viking Press. Book Club. 1962. 246 pps. Octavo. Hardcover. Reprint. Fine copy in near fine (very light shelf wear) dust jacket (in mylar). Steinke, Darcey. Suicide Blonde. New York. Atlantic Monthly. 1992. 190 pps. Octavo. Soft cover. First edition. Fine copy. Stephens, James & Arthur Rackham. Irish Fairy Tales. Photo available. New York. Abaris Books. 1978. 200 pps. 4to. Gilt decorated hard cover. First edition thus. Illustrated in black, white and color by Arthur Rackham. Fine copy (book plate, very light corner wear). Stephenson, Neal. Quicksilver. Volume One of the Baroque Cycle. New York. Harper. 2003. 927 pps. Octavo. Hardcover. First edition. Fine copy in fine dust jacket (in mylar). Sterling, George. Poems to Vera. New York. Oxford University Press. 1938. 39 pps. Octavo. Hardcover. First edition. Prospectus laid in, Fine copy. 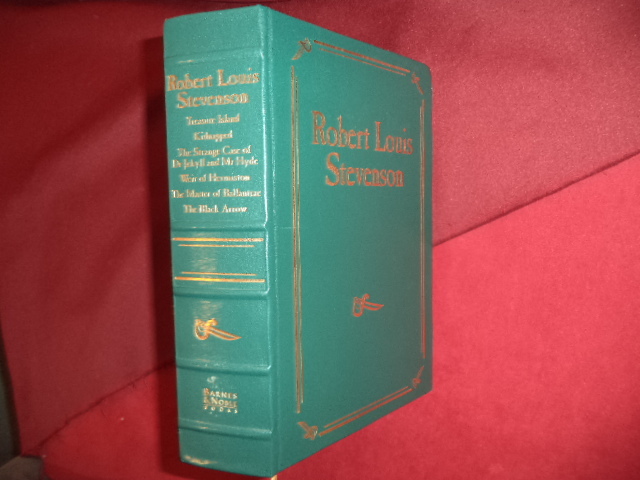 Stevenson, Robert Louis & Louis Rhead. Kidnapped. Being Memories of the Adventures of David Balfour in the Year 1751. Photo available. New York. Harper Brothers. 1921. Octavo. Decorated hard cover. Pastedown on cover. First edition thus. Illustrated in black, white and color by Louis Rhead. Fine copy. Stirling, S.M. A Meeting at Corvallis. New York. ROC. 2006. Octavo. Hard cover. First edition. Fine copy (owner blind stamp) in fine dust jacket (in mylar). Stirling, S.M. T2 Infiltrator. New York. Harper. 2001. Octavo. Hard cover. First edition. Fine copy in fine dust jacket (in mylar). Stoker, Bram & Leslie S. Klinger (ed). The New Annotated Dracula. Photo available. New York. W.W. Norton. 2008. 613 pps. 4to. Hardcover. First edition. Full number line. Illustrated. Important reference work. Fine copy in fine dust jacket (in mylar). Stoker, Bram (Greg Hildebrandt illustrations). Dracula. New York. Barnes & Noble. 1993. Octavo. Hard cover. First edition thus. Illustrated in black, white and color by Greg Hildebrandt. Fine copy.